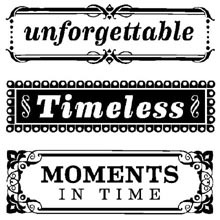 great for scrapbook pages commemorating special times and loved ones. Use them with one of our clear acrylic mounting blocks, sold separately. Sheet size: 2.5" x 2.5".